120 Commercial Team with City Councilor Steve McCoid: Jim Toporek, Studio 3 Architecture; Rich Duncan, Duncan Construction; Scott Chernoff, Cumberland Holdings; Pam Rushing, Coldwell Banker Commercial; Don Bauhofer, Kelly Stewart and Jodie Vaughn, Pennbrook. 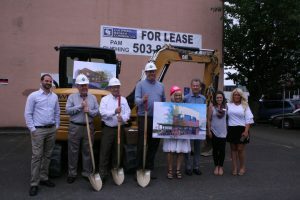 Salem, OR – Cumberland Holdings, LLC, the owners of the 120 Commercial building, have officially commenced with property renovations to improve the building to be a dynamic, central part of downtown Salem. 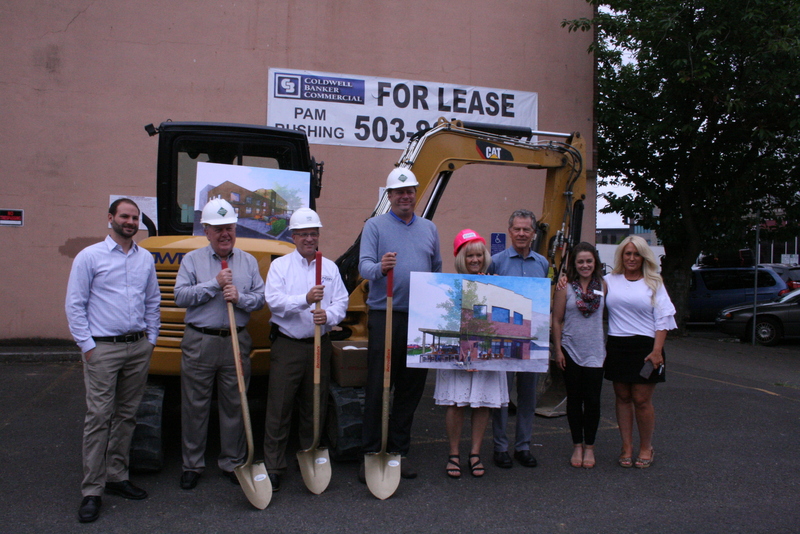 On June 22, 2018, property owner Scott Chernoff of Cumberland Holdings and representatives from the Salem Chamber of Commerce conducted a short ceremony to break ground on the remodel. 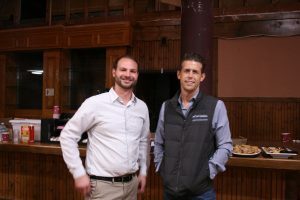 Inattendance were key members of the project team including Jim Toporek of Studio 3 Architecture, Rich Duncan of Duncan Construction and Pam Rushing of Coldwell Banker Commercial (the leasing agent for the property). 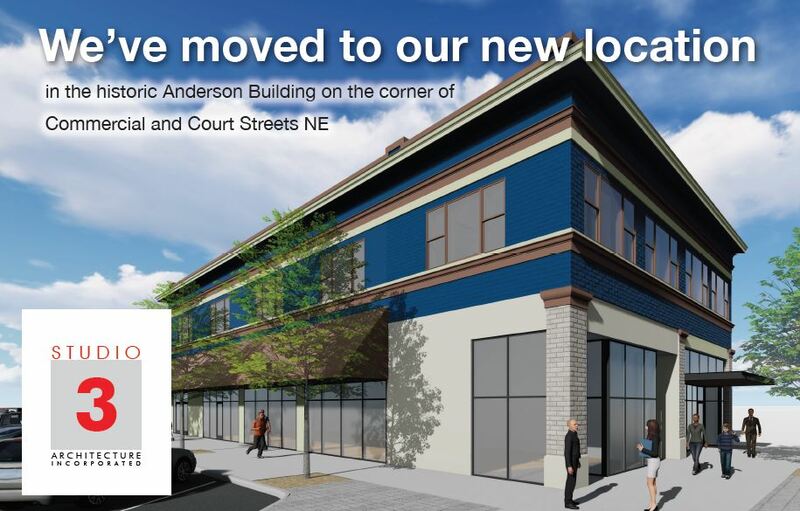 The renovations will start the process of adding two outdoor seating areas, a number of large windows, a well-lit alley and multiple entrances to the building. 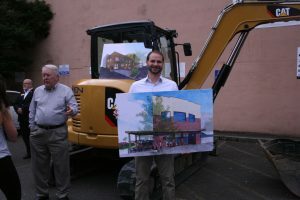 The overall framework of the building will be preserved, but it will receive a much-needed facelift. Jim Toporek (Studio 3) and Nate Cooke (Duncan Construction) at 120 Commercial, Salem.lehouse. Over the years the building has been leased by several restaurants. As construction continues, the property will open for prospective tenants. About 120 Commercial Street: The 120 Commercial Street Building is thought to have been constructed around the same time as the Reed Opera House (1870). The first tenant to occupy the two-story building was thought to be Durbin’s Livery, a stable yard. The entire building is approximately 14,000 square feet. About Cumberland Holdings: Cumberland Holdings is a real estate investment and asset management company that manages a number of properties in Oregon and the Northwest. The investment team includes Graham Chernoff and Scott Chernoff, both of whom grew up in Northwest Portland. They have a combined 45 years of experience in acquiring and operating real estate, with offices in Los Angeles, San Francisco and Bend, Oregon. About the Pennbrook Company: Located in Oregon, the Pennbrook Company offers a full range of services for property owners. Jodie Vaughn of Salem will serve as the Reed Opera House’s on-site manager. 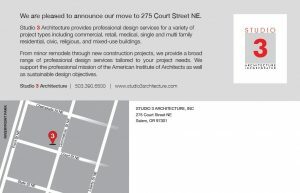 Salem, OR, (May 17, 2018) – Studio 3 Architecture, the company behind the Coastline Foot + Ankle Center, Dutch Bros. South Salem, and Rudy’s Steakhouse, is moving to 275 Court Street NE. The firm is relocating to the downtown Salem Anderson Building, a historic building that has been in existence since the 1800’s. Historically, the Anderson building has served as a location for a number of different businesses, including a hotel. In 1887 it was called the Starkey/McCully Block. It is the oldest building in the area. The move will be completed May 21, 2018. 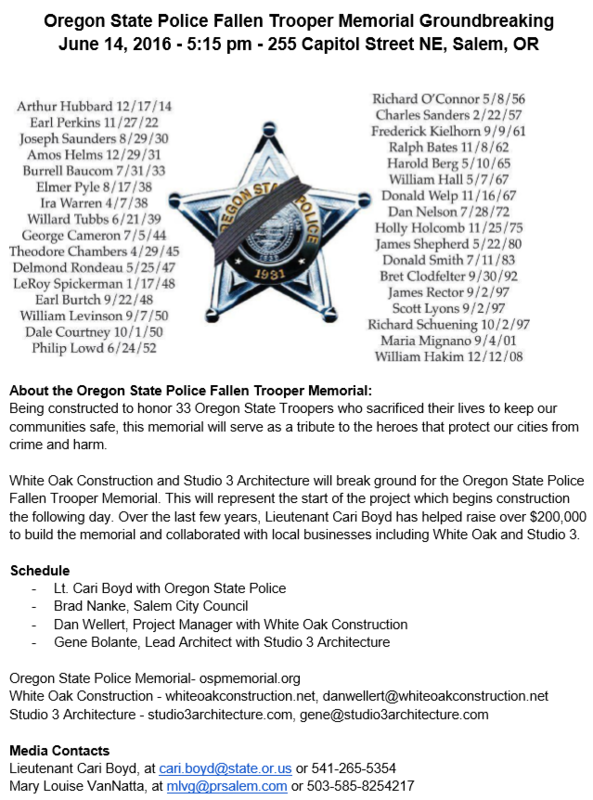 For additional information, contact Caylia Richardson at (503) 390-6500 or at caylia@studio3architecture.com. About Studio 3 Architecture: Established in 2002 by principal architects Gene Bolante and Leonard Lodder. S3A is an architectural company that provides services for a variety of projects from commercial buildings to family housing with a focus on sustainability. 2012 Best of Salem Award in the Architects Category, 2010: Extreme Home Makeover: Home Edition; Oregon School for the Deaf, EarthWise Certified by Marion County, LEED Accredited. E li Nafziger and Callie Atwood have joined Studio 3 Architecture. 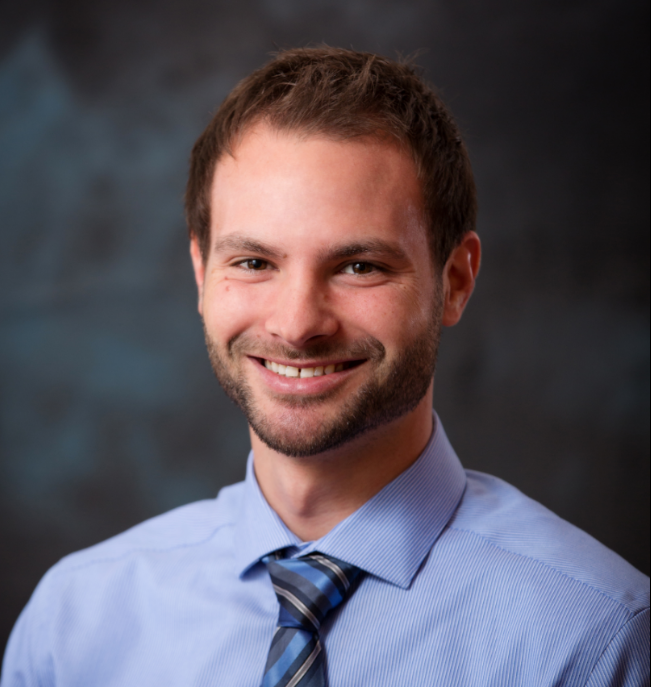 Nafziger joined the team as architectu ral associate. 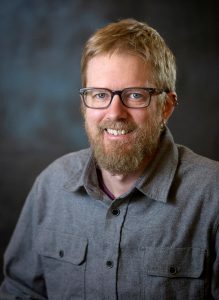 He received his Bachelor of Architecture degree in 2014 from the University of Oregon School of Architecture and Allied Arts and minored in Architectural History. He has a strong interest in multifamily and alternative housing solutions. Outside of work, he enjoys spending time with his children, reading, motorcycling, and designing tiny houses for friends and family. Atwood joined the team as an intern. 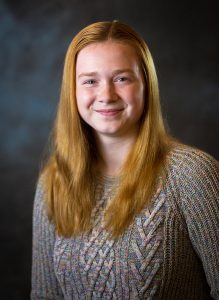 She plans to attend University of Oregon in the Fall of 2018 to earn her bachelor’s degree in Architecture. She graduated in June 2017 from Lebanon High school with her diploma and an Associate’s of Oregon Transfer Degree. Atwood decided to intern for Studio 3 to gain experience in architectural design and consulting before getting her degree. Outside of work, she enjoys drawing, spending time with her family, and playing with her German Shepard. She also collects snow globes, plushies, keychains, and miniature trinkets to mark her various adventures. 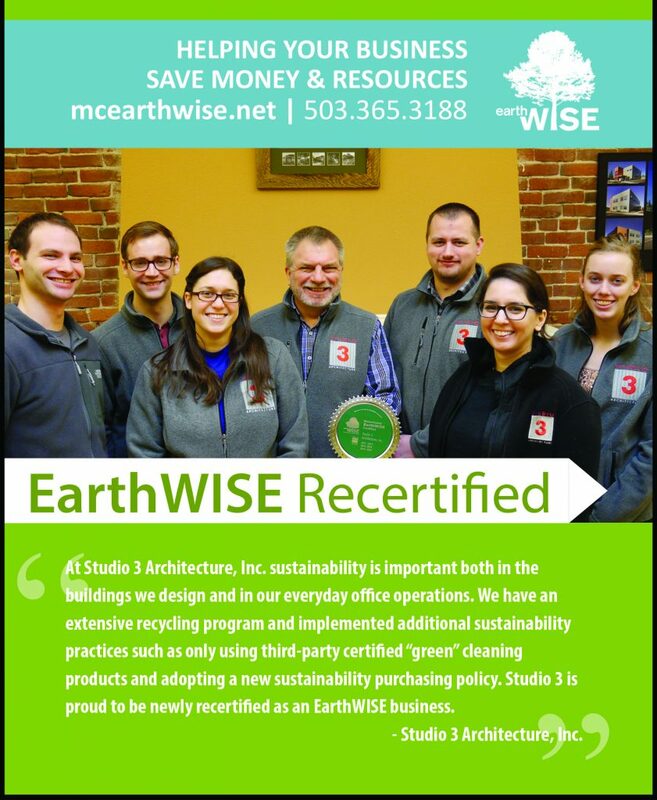 We are proud to be EarthWISE recertified! We have a commitment to sustainable practices in both our design and in our everyday operations. Studio 3 Architecture is leading the design of the new Coastline Foot + Ankle Clinic, which will be moving from South Salem to Salem’s nationally recognized historic district. Coastline specializes in providing cutting edge treatments for foot and ankle injuries. 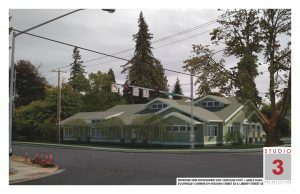 Located at the corner of Liberty and Mission in Salem, this state-of-the-art clinic will embody the character of neighbors that include Bush Barn and Deepwood Estate. 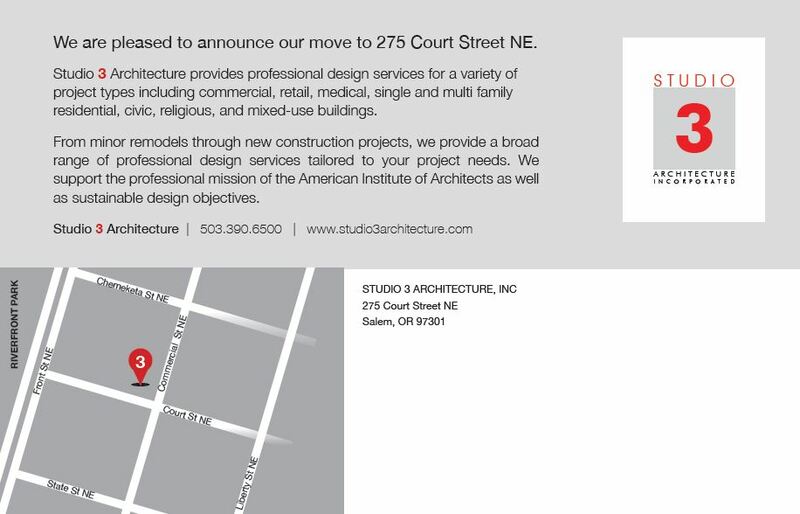 ABOUT STUDIO 3 ARCHITECTURE: Established in 2002 by lead architects Gene Bolante and Leonard Lodder. S3A is an architectural company that provides services for a variety of projects from commercial buildings to family housing with a focus on sustainability. 2012 Best of Salem Award in the Architects Category, 2010: Extreme Makeover: Home Edition; Oregon School for the Deaf, EarthWise Certified by Marion County, LEED Accredited. 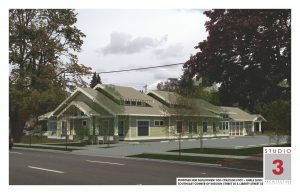 www.Studio3architecture.com. 503-390-6500.